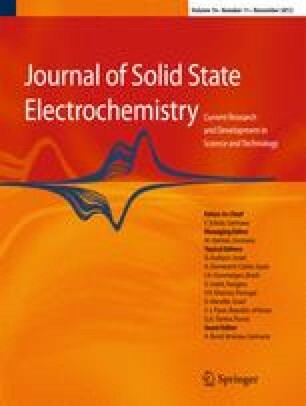 This special issue of Journal of Solid State Electrochemistry is dedicated to the 75th birthday of Professor Waldfried Plieth. Waldfried Plieth was born on November 7, 1937 in Cottbus, Germany. He studied chemistry at Freie Universitaet Berlin. His doctoral thesis was on passivity and transpassive dissolution of chromium. It was supervised by the famous electrochemist Jürgen Vetter. With Vetter, he also did his habilitation on the adsorption of redox components and charge transfer and became a full professor at Freie Universitaet Berlin in 1971. In 1981, he spent a sabbatical at the Lawrence Berkeley Laboratory of the University of California. From this stay emerged one of his most cited papers on the electrochemical properties of small clusters of metal atoms and their role in surface-enhanced Raman scattering . In 1992, he moved to Dresden University of Technology and became director of the renowned Institute of Physical Chemistry and Electrochemistry. In 2004, he retired from his official duties, but he is still very active in his research fields. Recently, he published a well-received textbook on electrochemistry for materials science . Currently, he is working on a book on metal deposition and structure formation. He was involved in many research projects dealing with fundamental as well as applied electrochemistry. His research interests were always very broad with a special focus on spectro-electrochemistry  and electrochemical phase formation . On the later subject, he developed a theory on the atomic scale which is based on the residence times of the particles at the surface of a growing metal film . This is a very powerful approach that can be used, for example, to tailor the composition of alloys . The electrochemical systems he is interested in comprise a very wide range such as metals , alloys , oxides , composites , and conducting polymers . The applications he is looking at are also very wide, e.g., functional materials , sensors , corrosion protection , or energy harvesting . In 2009, he received the Jacobi medal of the “Deutsche Gesellschaft für Oberflächentechnik” (DGO) for his work on the fundamentals of electroplating processes and for the development of innovative processes. 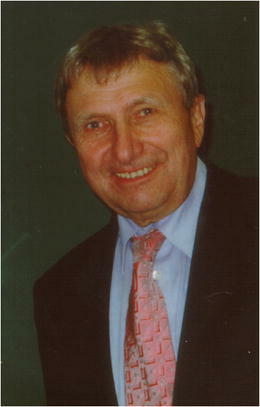 Since 1999, Waldfried Plieth has been a member of the Editorial Board of the Journal of Solid State Electrochemistry. Many years he acted as a consultant of the “Deutsche Forschungsgemeinschaft”, and he is still consultant of the “Allianz Industrieforschung”. He was member of the board of directors of the “Fachgruppe Angewandte Elektrochemie”, the "Gesellschaft Deutscher Chemiker", and member of the board of directors of the DGO. Over the years, he had several functions in the International Society of Electrochemistry. Waldfried Plieth published more than 180 peer-reviewed papers, three books, and is coauthor of 25 patents. He supervised more than 90 PhD students and approximately the same number of diploma students. His group always hosted a large number of visiting scientists; some of them are contributing authors to this special issue and share a long friendship with him. Besides his strong connections to the USA and the European countries, he had a long connection to electrochemical research institutions in Argentina. Several times, he was invited to the renowned Frumkin symposium. Furthermore, he attended many electrochemical symposia in Egypt and India. His research stays in Japan stimulated his interest in the fascinating Japanese language, and meanwhile, he is able to understand a little bit the mother tongue of his Japanese friends. If you have the honor of working with him or spent some time in his lab you are immediately intrigued by his broad knowledge of Physical Chemistry and Electrochemistry. Discussing with him is a very stimulating experience. You always leave his office with many fresh ideas and full of enthusiasm. Often, he invited his whole group for a barbecue party at his home. Many of us remember the delicious dishes that his wife prepared. The contributing authors of this Festschrift would like to wish Waldfried Plieth all the best for his birthday.